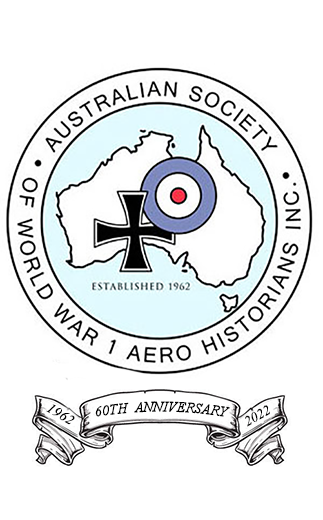 The Australian Society of WW1 Aero Historians Inc. is an Australian based, non-profit organisation dedicated to the study of all aspects of World War One aviation. Founded over 55 years ago, we are the oldest Society of this type in the world. Membership to the Society is by application. Since 1962, the Australian Society of World War One Aero Historians has provided a Sydney based forum for World War One aviation enthusiasts. The Society publishes a biannual journal, the '14-'18 Journal and quarterly newsletters. Joining the Australian Society of World War One Aero Historians means that you become part of a world wide community that is interested in learning, researching and sharing information on all aspects of WW1 aviation. Membership is open to all, and the benefits we offer our members are second to none. Joining is easy, we accept payment via our Society Shop or you can download our Membership Application form, and return it by mail, accompanied with a cheque (Australian residents only) or international money order made out in Australian dollars. Becoming a Society member offers a host of benefits. You will receive our biannual '14-'18 Journal and quarterly Newsletters. Our exclusive members only area will give you access to our entire back catalogue of '14-'18 Journals, our photographic and audio collections and use of the Peter Williams Memorial Library. As a member of the Society, you will also be invited to Society events, functions, commemorations and trips. You also have the opportunity to contact like minded people, researchers and scale modellers via our membership directory, Facebook page and quarterly meetings. The Forum is a new edition to the Society website. It is a place to discuss Society news and all things relating to WW1 aviation. Before posting you must register to use the forum. Click on the logo below to enter. The Australian Society of WW1 Aero Historians Inc., is honoured to have Air Chief Marshal (ret'd) Mark Binskin, AC, as our Patron. 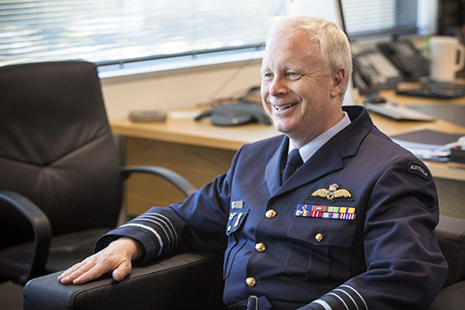 Air Chief Marshal (ret'd) Binskin is the former Chief of the Australian Defence Force. Each month we will honour those Australians who served in the air services of the Great War and made the ultimate sacrifice. The Australian Airmen of the Great War 1914-1918 database consists of over 5600 Australians that served with the air forces of WW1. The Society has made this database freely available to the community. 17th February 2019 General Meeting. Roseville RSL 1.30PM. 17th November 2019 General Meeting. Roseville RSL 1.30PM. copyright 2014-18 ASWW1AH Inc. An Australian based, non-profit organisation dedicated to the study of all aspects of World War One aviation.